Hair care has always been an important part of nearly everyone’s daily lives. It’s something that must be done to keep it from aging and tends to get dry very easily. Hair moisturizers help to counter these effects by adding nutrients into the hair and scalp, keeping it healthy throughout the day. What is the Best Hair Moisturizer in 2019? To get the most out of your hair, check out the seven Best Hair Moisturizer below, which are specifically designed to keep your head (or beard) looking great and fueling growth. They each have their own individual advantages, with the first two being most highly recommended. 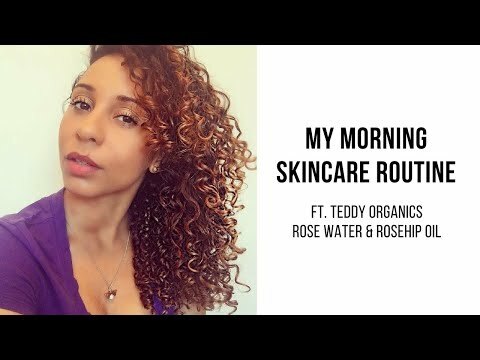 If your scalp tends to dry up no matter what oil you’ve used before, Teddie Organics Rosehip Oil is the best for you. Rosehip Oil, when placed on the skin, leaves a moisturized look and feel that’s not greasy. Grease is one of the primary complaints among hair products of this category, but you shouldn’t have any problems with accelerated oily skin when this is applied, even if you live in a humid region. Sold in a glass bottle, the oil itself is quite thin. The top has a built-in stopper as well, so you can measure out the exact amount you need for your hair. This is also very useful for beards, so don’t be afraid to massage it onto facial hair (if you’re a guy). After washing, just add a small portion to your head hair, focusing on edges the most since those areas tend to dry out quicker. It decreases acne and maintains control for those suffering from serious breakouts. But keep in mind that this attribute tends to have varying degrees of effectiveness on an individual basis. Overall, the Teddie Organics Rosehip Oil is the top choice on the list, owed to its light formula. Light tends to be compatible with more people, and the oil should match up with any skin type without causing allergic reactions. Just go easy on it, not much is needed to keep your hair hydrated. For people experiencing hair loss, it can be a hard thing to negate. This isn’t exclusively an elderly problem, either. There’s plenty of young people who lose their hair before they even hit 30. It’s no wonder that so many users have raved about Viva Naturals’ Organic Extra Virgin Coconut Oil. The formula is made to combat the issues that make it easy for hair to age fast. When you’re not using it for your hair, there are also alternative things for you to make use of (in regards to the oil). Cooking and baking are some ideas. It goes well with nearly anything that’s seared, so try it out with steamed vegetables when you have the time. But for most, hair it where it’s at. It almost looks and feels like lotion. You’ll want to apply after your hair is completely dry, however. The oil feels wet to the touch when you’re working it in the head. It is also very slippery, so try to use in spare amounts that won’t leave residue on anything once you’re finished putting it in your hair. Dandruff looks and feels itchy. The flaky, white substance you might have seen in your head before is a combination of dirt and dry skin that comes up when the hair’s not moist. Many different types of shampoo can lead to such occurrences, especially for those who don’t use conditioner very often. Jojoba Oil by Teak Naturals is great for people who want to stick to natural hair care products. There aren’t many items listed in the ingredients, so it’s safe to say that the product is probably correct in its “organic” status. There’s no indication of it being USDA Certified but that doesn’t always determine a truly organic product, so to speak (discussed in detail in the Buyer’s Guide). One ingredient that could be of issue is iodine, so don’t use if you’re certain that an allergic reaction could happen. For those who are allergic, using it might lead to rashes, so look at some of the other products shown instead. Others will see significant decreases in dandruff, even if conditioners aren’t favored. The feel is slightly oily as well and you’ll want to moderate yourself; don’t put on too much if you already have problems with oily skin. Anyhow, jojoba oil nourishes and prevents itchiness well, and is recommended for use after shaving and in dry environments. Leave in conditioners are plenty, but most of them have the common problem of being a little too greasy and wet. When placed in the hair, a bad leave-in might lead to acne and a dirty scalp, something that encourages fungal growth and eventually, hair loss. Shea Moisture Leave-in Conditioner is in a league of its own. The combination of both shea butter and coconut oil helps add hydration while ridding the scalp of bacterial growth for the time it remains in the hair. The container isn’t glass. Instead, it’s sold in a plastic canister that should last for a long time after its purchase. People with dry hair will see the most benefits, but feel free to try if yours is straight and/or oily. Limit your use to once a day and the hair will begin to grow very fast over a short time period, encourage by its ingredients that harbor fatty acids and vitamins. They penetrate the scalp and block new follicles from thinning out and falling from their roots. Shea Moisture is suggested for anyone with curly and frizzled hair and shies away from the standard “wet” conditioners. Professional Series Hydrating Argan Oil utilizes the Moroccan-hailed plant, along with a bevy of other nutrient-rich chemicals that aren’t truly organic but will give you better leverage when you need a product that thickens new growth. In other words, use this if your hair’s showing signs of thinning out in patches. But don’t just use in those areas. Feel free to try it as a leave-in conditioner but most appear to substitute for ordinary brands that you’d place in the hair and wash shortly after shampooing. To go back to the ingredients, you may not be familiar with some of them. Others are questionable in their effectiveness at keeping the hair moisturized. For example argan oil. Most argan oil products are sold in glass containers, which helps to prevent it from going bad too quickly. Granted, this is a hair lotion, so that might not be a huge problem for you. But don’t expect to get all the benefits from other argan oils that don’t contain anything more besides the oil itself. And you might have to apply this more than once a day for your hair to stay hydrated; some consumers have reported fast drying, even after the conditioner was applied not long ago. Generally speaking, it’s not a bad product and is especially recommended for people with dyed hair, since they tend to apply more conditioner in the scalp regardless. 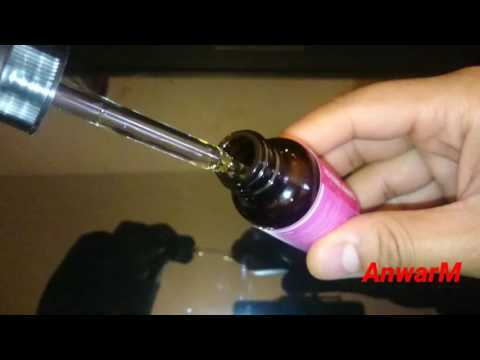 Castor oil is unique in being a good hair product for the head, beard, and even eyelashes. You can use it to encourage growth in these areas. Molivera Organic Castor Oil can be used on top of other hair moisturizers as well, so don’t be afraid to add it with another pure oil, such as argan. The bottle is pretty large (16 ounces) but doesn’t require that you use a lot. Smell is unique but not bothersome; don’t worry about any odors protruding from your hair after having it on for several hours. This is not a USDA Organic product. Although it claims to be organic, the ingredients prove that it isn’t. This doesn’t bother some people but if you’re picky about using fully certified beauty products for your hair, look for an alternative. Diluted oils are not organic at all, and since this makes use of dilution during its processing before being bottled, there are fewer nutrients. But this does not stop it from helping your hair grow. If you place the oil in patchy areas you think are balding, or have a receding hairline, a little near the edges will fuel new growth in places you thought were a loss before. As such, Molivera Organics Castor Oil scores high for anyone wanting to prevent balding. 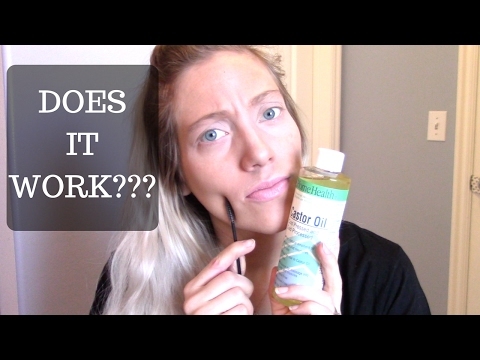 CASTOR OIL for hair RESULTS!! – I am AMAZED! Carrot Seed OIl, by Leven Rose, comes in a small glass bottle with a dropper that doesn’t require a lot to moisturize a full head of hair. But like many pure oils, shorter hair will come out best with the product. If you do have long hair, you’ll notice it shining more and staying dry longer in the day. You might have to use a tad bit more than normal though, so consider getting more than one bottle, particularly if your hair is very dry and suffers from excessive dandruff. It’s an anti-aging oil, so you can also use it for only your scalp if you want. When added to the face, wrinkles and crevices will fade out over a long period of use, and your eyelashes will even grow further. Just add a drop to anywhere you have hair and the carrot oil, loaded with carotenoids, will fight off the inflammation that causes acne and cracking. Recommended for people with pimples, breakout, and cuts/bruises on sporadic areas of the face and scalp. To get you closer to the oil that will help you most, take a moment to go over the usage guidelines below so you’ll know what type is right for you prior to buying. Having an organic label on products today has become a selling point for many commodities, including brands that sell items for hair care. In the United States, many companies use the “USDA Organic” to show whether or not a product has been tampered with during the manufacturing or cultivation process. For hair moisturizers, you’ll come across some oils and conditioners that advertise as being organic but don’t have the USDA label. Technically speaking, USDA status must be purchased by the manufacturer and inspected. It’s not a requirement for beauty items to undergo such processes. As such, some oils will retail organic oils but won’t have any label markings with USDA on the product itself. If you want to be sure, you can either contact the manufacturer or ask if the oil is diluted or has anything extracted from its raw materials. If the answer is no, then the claim of being organic is probably genuine. Whether it be straight, curly, greying, or oily, there’s a hair moisturizer that will fit well with you. Above all else, the key is to understand which products are best for oily and dry hair. You can have straight or curly hair that’s under both conditions, so be sure to read up on how thick or thin the oil/conditioner is before you decide on which items to try. For instance, anything that contains coconut will make your head greasy or drier from the amount being used and other ingredients found with the conditioner. Some incorporate thick oils with the coconut that won’t dry quickly. You could also look at essential oils sold without a combination of substances included in the bottle. Whatever the case may be, knowing your hair will determine if you like the moisturizer or use it only one time, and never again. If you’re in a hurry to find out which product tops as the best, there’s two that should work well for nearly everyone. They are Teddie Organic Rosehip Oil and Viva Naturals, a coconut-based moisturizer that can lead to noticeable hair volume increases quickly. The former ranks high for being light and manageable yet penetrating and long lasting in the scalp and hair follicles. The other oils listed could also serve you well, so consider those if the top picks don’t make the cut. But no matter what, you’re going to be satisfied with anything chosen since they all feed wholesome nutrients and vitamins into the hair, regardless of age. 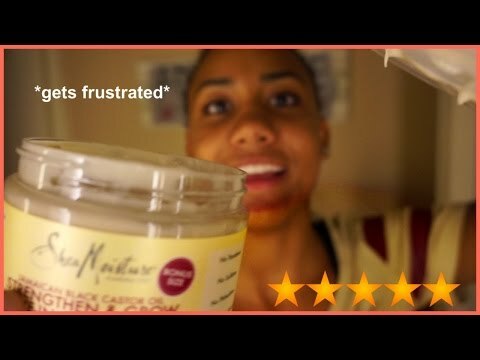 Comments for "Best Hair Moisturizer"